Facebook is taking new steps towards a commitment to sustainability by announcing its plan to launch the “Social Energy” App. Through partnership with the National Resource Defence Council and Opower, the application will allow users to monitor their energy usage and increase their energy efficiency. To make things more interesting, the users will compete to reduce their energy bills. The NRDC states that the application will be available early next year. According to the NRDC, the focus on energy efficiency will encourage the same level of comfort, just using less energy and waste. Compare Energy Use Among Facebook Friends: People will be able to invite friends to compare their energy use against their own, show how energy efficient they are and provide information on how to improve their efficiency. Compare Energy Use to Similar Homes: Users will be able to compare their home energy use to similar homes in a national database. Share Energy Information on the Facebook Newsfeed: People will be able to contribute information about their energy use, rank, and involvement. Group Collaboration: Communities of users will be able to form teams to help each other reach collective goals and compete against other groups. Automatically Import Energy Data: Customers of participating utility companies will be able to automatically import their energy data into the application. For customers of utilities that are not participating, energy usage information can be entered into the app manually. In the past, Facebook has been criticized of greenwashing by environmental activist groups. Most famously, they were targeted in Greenpeace’s Unfriend Coal campaign. 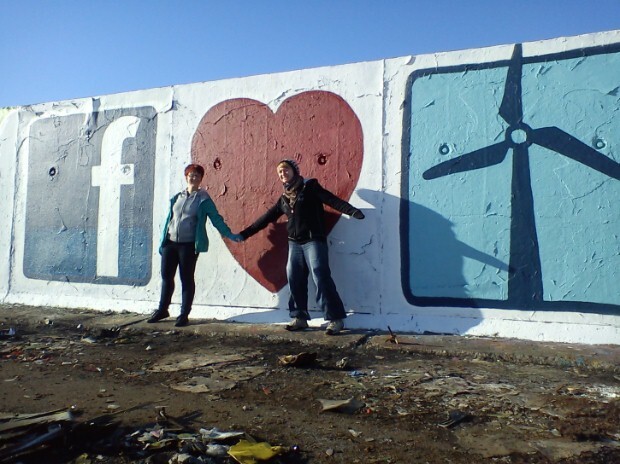 Since February 2010, Greenpeace has been campaigning Facebook to stop using coal power and commit to 100% renewable energy. Sparking the initiative was Facebook’s announcement to build a large data center to serve the millions of Facebook users. The center was set to be full of new energy efficient technology, but be run on coal-powered electricity, the largest source of air pollution in the world according to Greenpeace. The campaign reaches far beyond Facebook, and represents the IT sector’s increasing demand for energy. The campaign currently has over 700,000 Facebook supporters world-wide. One of the demands of Greenpeace’s campaign against Facebook calls for the social media giant to become an environmental advocate. More specifically, the group wants Facebook to become an advocate for energy efficiency at the local, national and international level. The new Social Energy app seems curiously parallel to the activist demands. As Facebook is stepping out as an energy efficiency leader, one can only hope that the trend will go viral among other IT giants. First of all, this is well written. Second of all, the topic is so intriguing, as more on green initiatives should be talked about, especially with the current administration. I hope Facebook uses its social media prowess to change the way humans look at planet Earth. Thanks so much. Linking to you. Thank you for the feedback, Brad. I greatly appreciate it.